Many people don't want to retire. Some want to work in different ways and others can't afford to retire because they fear they will outlive their money. How can you be aware and intentional as you plan "what's next?" On the fourth Tuesday of each month, Dori interviews an expert on the topic of retirement transition and navigating the second half of life to help you decide what's next for you. Take a look at our upcoming speakers. 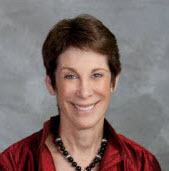 Dr. Dorian Mintzer is a well-known authority on Retirement Speaking and Coaching. She presents at a number of local. national, and international events and conferences each year, speaking on retirement transition issues. As a Certified Retirement Coach, you'll discover ground- breaking course work, with time-tested and proven methods for helping people make a successful retirement transition. Whether single or in a relationship, there are some important issues to "puzzle out" for yourself and then discuss with whoever is important to you in your life. One of the goals is to be conscious and intentional in how you live this next chapter so you don't reach the end of your life with regrets. 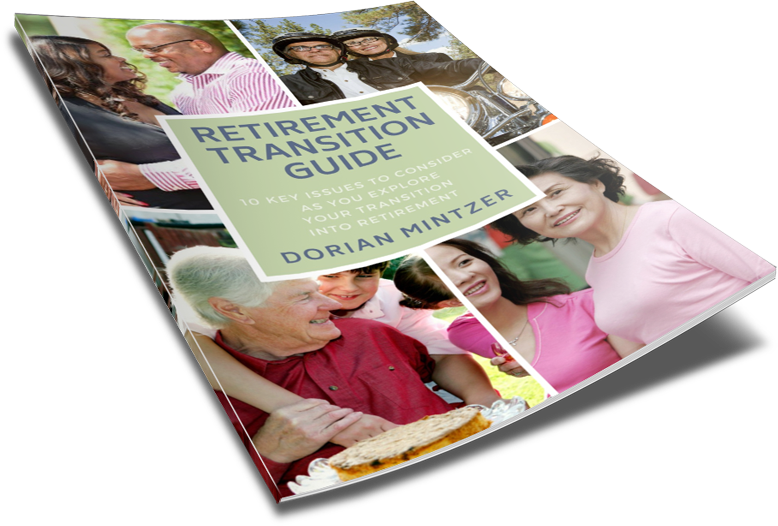 There are some terrific resources available to help you negotiate this journey in my free guide, 10 Key Issues to Consider as You Explore Your Retirement Transition. You can get this when you subscribe to my Living with the Brakes Off newsletter. Dori brings a fresh perspective on designing the third stage of life, which she refers to as the BONUS years. She takes the audience on a journey of consciously deciding how they will live the richest, most fulfilling stage of their lives.